111713 AmeriCares in the Philippines after Typhoon Haiyan: AmeriCares Emergency Response Team and members from NYCMedics on the storm ravaged Island of Guiuan, Philippines. 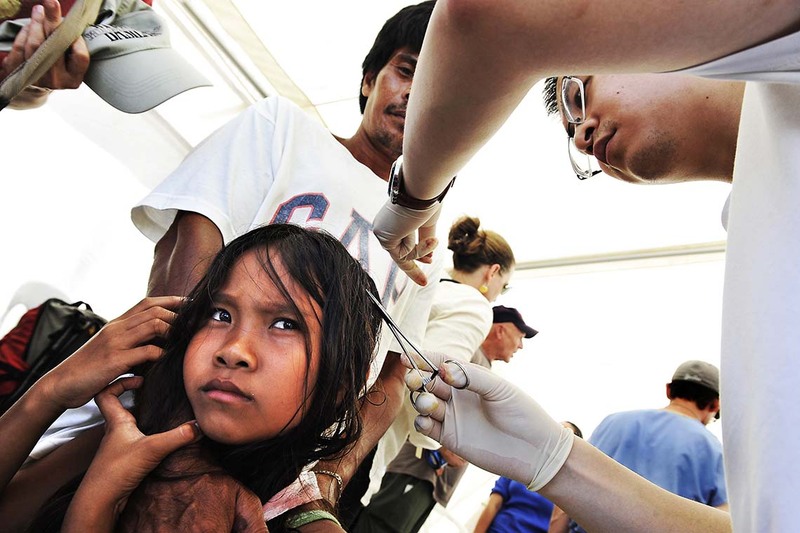 A young girl has a head wound stitched by a NYCMedics doctor. Photographs by Matthew McDermott-917.653.6707.